← New butterfly for Nova Scotia! Ken McKenna picked up another Nova Scotia Eastern Tailed-Blue. He photographed an individual on Route 374, between Stellarton and Sheet Harbour on September 7. This is the third record for the species in Nova Scotia (the other two are from late August, see previous post for details). As you can see those records are pretty spread out, suggesting it could show up just about anywhere. 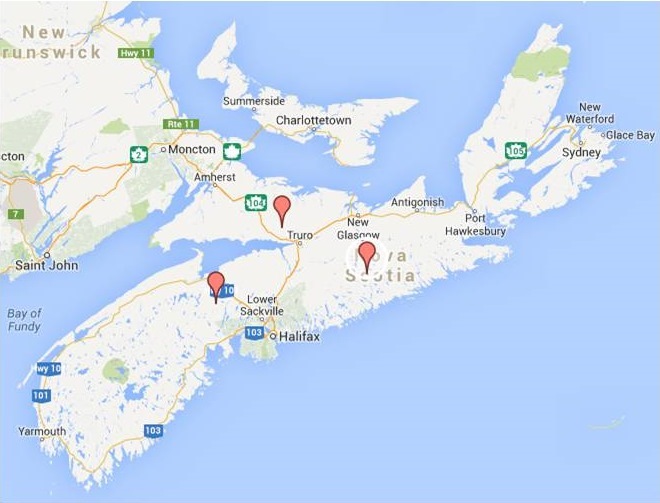 Locations where Eastern Tailed-Blue has been recorded in NS so far in 2013. 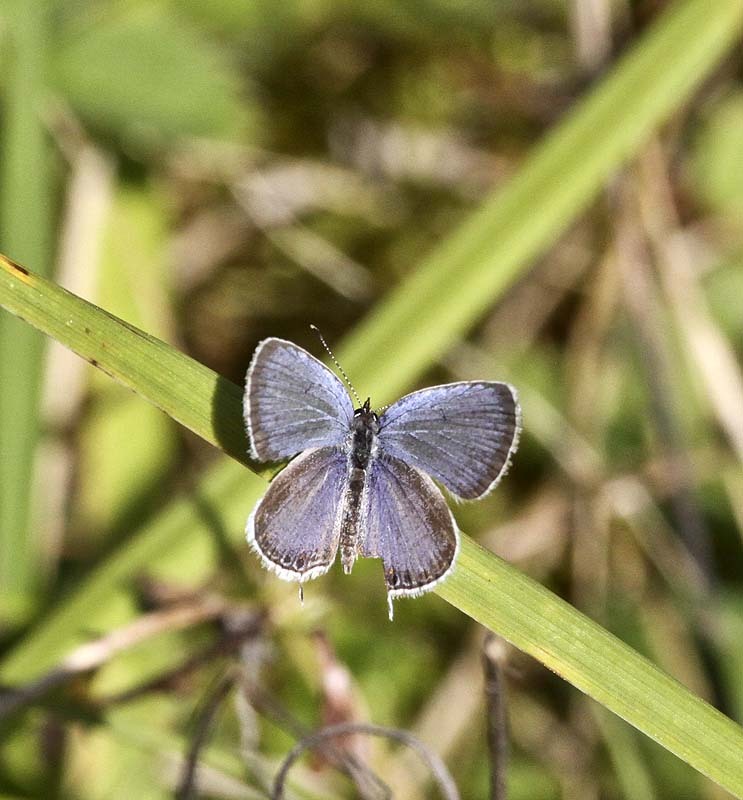 Dwayne Sabine recently posted on the Butterfly Atlas’ Google Group that he and Scott Makepeace have found Eastern Tailed-Blues at seven sites between the two of them this year in New Brunswick. They have found them by searching sites with a lot of legumes present, things like Rabbit-foot Clover and Cow Vetch. The tailed-blues are typically are present only in low numbers, and, as Dwayne described, are best detected by walking through vegetation in an effort to flush them out. Eastern Tailed-Blues will still be on the wing for a couple more weeks (they are recorded regularly in Maine until the end of September), so keep your eyes out for them! While out also be on the lookout for Mourning Cloaks and commas. I saw a Mourning Cloak in Sackville on Monday, and picked up a Gray Comma just north of Sackville on the weekend.